But first we would like to learn a bit more about you. Can you tell us a little bit about your background and your position at Laowa? Mr. Li: Thanks for your interest in Laowa! I graduated in Opto-Electronic engineering from the Beijing Institute of Technology. Since graduating, my career has been in lens design. I have worked designing lenses for consumer cameras, video cameras and cinematic cameras, as well as industrial optics for applications such as medical, security, smartphones and VR. My principal focus, though, has been on lenses for photographic cameras, of the kind that mainstream photographers use on their cameras today. When designing DSLR lenses, most of my work has been on complex zoom lenses covering the entire gamut from ultra wide, through standard and tele, to high magnification lenses. Working in a large company on zoom lenses was, inevitably, a little restricted, so I was unable to pursue my own projects and passions. This meant that at one point I lost some of the passion and motivation for research and development. In response to this I got together with some photographers and colleagues in the industry and started designing some interesting and exciting lenses that we felt photographers would enjoy more than the standard fare offered by many of the big companies. So as you know I’m now an optical lens designer in the Laowa team and instead of just giving instructions to a team – as I did before – I am now more involved in the actual design process. I designed the lens with a reasonable focal length ratio of front and rear lenses, and deployed 2 aspherical elements and 3 extra low dispersion elements. The final result was a very small and lightweight 15mm f/2.0 ultra wide angle lens, on which you can use 72mm screw-in filters, that has close to zero distortion and is very fast. I think it will bring both, convenience and performance, to many photographers. You mentioned the problem of the cover glass in front of Sony sensors. Actually this is not difficult to deal with at all if you consider it during the design process. But of course if you use a lens designed for the Sony cover-glass on other cameras results may not be so good. The cover filters in many brands vary considerably, and when using lenses not designed for a specific brand, field curvature and chromatic aberration on the edges will appear. This is especially true for wide-angle lenses with a small exit pupil and a large exit angle. PR: While many other lens makers seem to solely rely on correcting geometrical distortion (amongst other aberrations) in post processing, your 15mm 2.0 is part of Laowa’s “Zero-D” line of ultra wide angle lenses with very low geometrical distortion. To be honest I was quite surprised to see this, so why did you choose to do the opposite of what most other manufacturers are doing here? Mr. Li: As you can see, Laowa lenses are unique in the market, in this respect and others. We want to be unique because this is our mission. Exploring wider scopes and solving new challenges so as to provide more pleasure for photographers is the motivation for us to develop new products, instead of simply making lenses similar to those already in the market. If everyone lowers the quality and reduces the price to survive in this market, eventually there will be no more creative products in the photographic industry. Photographers will not be interested in creating new work due to the lack of creative lenses. Our 15mm 2.0 reflects this design concept. Not only have we achieved an incomparably small size, but also reached a new level of geometric correction (near zero distortion) and speed that no other manufacturer has ever managed at this focal length. This is what we call ‘uniqueness’. PR: While being limited to a few special lenses 40 years ago aspherical elements are now pretty common in most lenses with focal lengths up to 85mm. 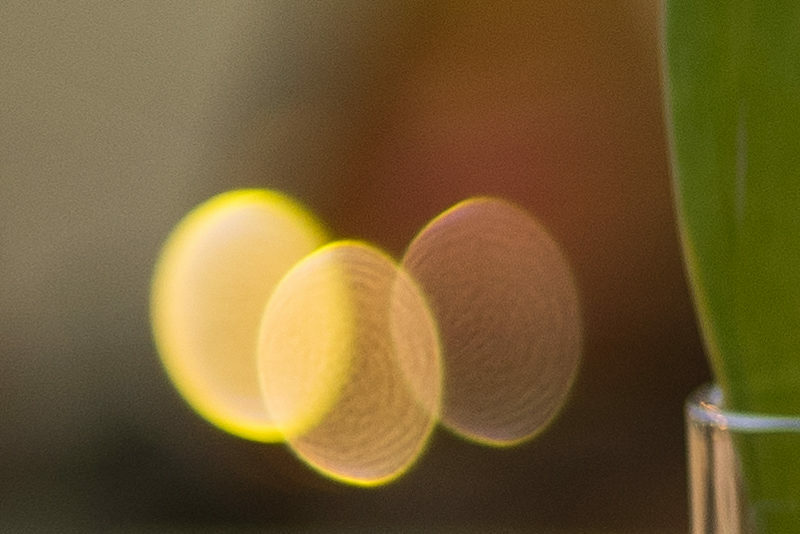 Often these aspherical elements have a detrimental influence on the bokeh rendering of the lens and lead to “onion ring” like patterns in out of focus highlights. Could you tell us why this is barely a problem with your 15mm 2.0 despite it using 2 aspherical elements? Mr. Li: “Onion Rings” are caused by rough surfaces on aspherical elements. The smoothness and cleanliness of the surface of these elements determines the degree to which you will see onion rings. Another factor which affects the degree to which we will see onion rings is the positioning of aspherical elements in the optical system. We have dealt with both factors in designing the 15mm 2.0, and so have successfully avoided this issue. PR: Zeiss with their Otus series and Sigma with their Art lenses started a trend in the industry to produce huge and heavy lenses with many elements to provide best possible image quality already at a very fast maximum aperture. What compromises did you have to make to keep the 15mm 2.0 as compact as we know it? Mr. Li: Optical design is an art of balance. It is also an art which requires us to comprehensively consider a huge range of issues. In some ways it is like a tug of war: If the contestants line up in an orderly fashion according to heights, so as to allow the force to accumulate linearly when they pull the rope at the same time, the greatest possible force will be created rapidly. If not, no matter how many people you have, it will be far less effective. Here’s how the analogy applies to optical design: a lot of optical structures are very complicated and have a high surface curvature. As the light passes through a lens element with such a high curvature, it creates a large range of optical aberrations like chromatic aberrations, spherical aberration, coma and so on. How can we deal with these aberrations? In order to neutralise them, we have to introduce elements with the opposite aberration. Therefore, more elements are needed to enable correction. As we add more and more elements, the camera lens will become big and heavy. Then we will have a lens where not only is the production complicated and difficult, the cost will also be very high. Our Laowa 15mm 2.0 FE Zero-D has the fastest aperture, smallest size and the least distortion among comparable lenses in the market. Its performance is outstanding. The reason why we can make the size so small is because we make full use of every element, as well as taking advantage of the short flange focal distance of mirrorless cameras. To the extent that if there is any compromise, I think it is on peripheral illumination and chromatic aberration, which are on par with similar lenses in the market. PR: There are now several websites conducting more or less sophisticated measurements of lenses and then coming up with a rating of some sort. Personally I think those tests rarely reflect the actual quality of a lens and are often performed at too short distances. Still, many people use these ratings and tests to base their buying decisions on. Do you have a look at the tests of your lenses and are those tests something you already think about when designing a lens? Mr. Li: Yes, a lot of reviewers are testing lenses in the laboratory. But the equipment and methods they are using are generally protocols designed for the evaluation of older, less demanding optics. However, many modern lenses now being produced feature much wider angles of view and much higher resolution. By using those older protocols, tests make them seem to have much poorer performance than they really do. This is because these lenses are designed for best performance at the most common shooting distances. 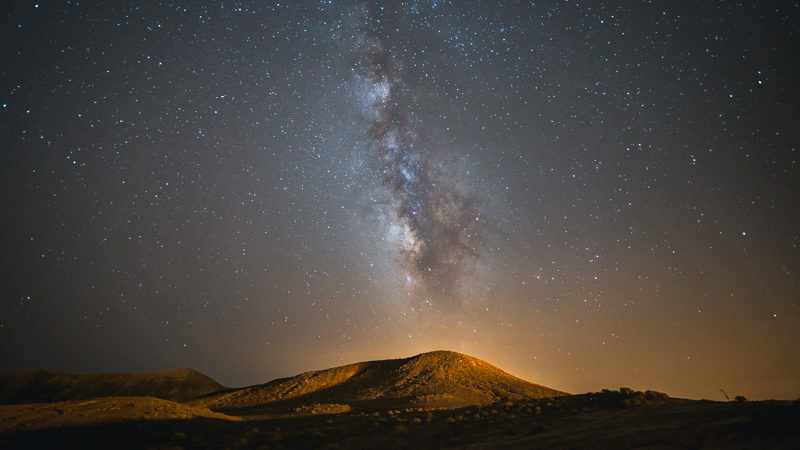 For instance, with wide angle lenses, we would concentrate on infinity for landscape pictures, and distances of at least several metres for architecture. Therefore, we have to ensure a good performance from at least 1m distance and out to infinity. Since the angle of view is very large, at subject distance shorter than 1m, we will get extremely high field curvature. Thus the edge performance will drop significantly if the lens is focussed centrally at these short distances. The problem arises in laboratory tests when a chart is used to test resolution. With a wide angle lens, in order to capture an image of the whole chart, the shooting distance must be very short. Maybe it is just 60-80cm away from the lens. Most ultra-wide angle lenses have their worst performance within this distance. But in fact it is uncommon to take shots this close in real life while using an ultra-wide angle lens. So if we test the performance of a lens using these protocols, the result will be very inaccurate. 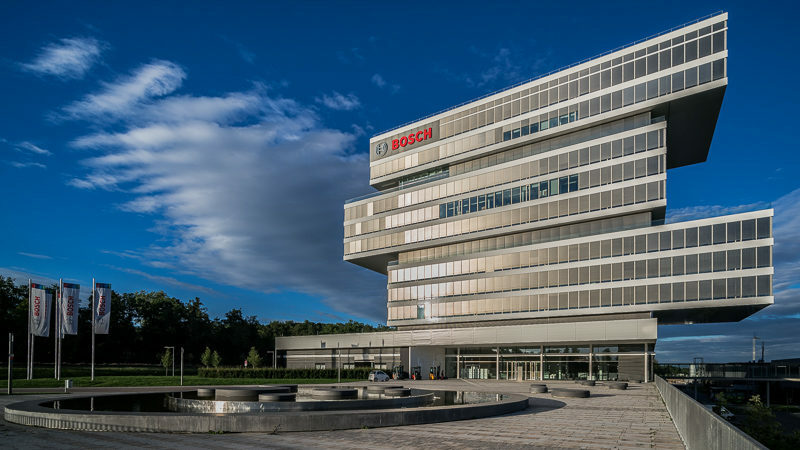 I have seen some websites showing some bad test results for an ultra-wide angle lens, but giving sample landscape and architecture photos taken with the lens which are excellent. I think this explains why these tests can be so inaccurate. PR: Some of our readers hoped for a perfect correction of coma with the 15mm 2.0. What would have been the consequences had you decided to design it that way? Is it even possible with this focal length/aperture combination? Mr. Li: It is true that 15mm 2.0 has slight coma aberration. To be exact, it is a mixture of slight astigmatism and true coma aberration. The appearance of coma is also caused by mechanical vignetting. To solve this problem, the size of the elements would have to be appropriately increased and more elements added in order to make point spreads less pronounced and more symmetrical on the edge. This would reduce the astigmatism and coma. The focal length and aperture combination of 15mm and f/2.0 could, of course, be done even better. But then the cost would be higher and the volume and weight would have to be greater. So the current design is a result of balancing various criteria. PR: What do you think about the future of lens design? Will we see more lenses using e.g. Phase Fresnel elements or other technologies I may have never heard of? 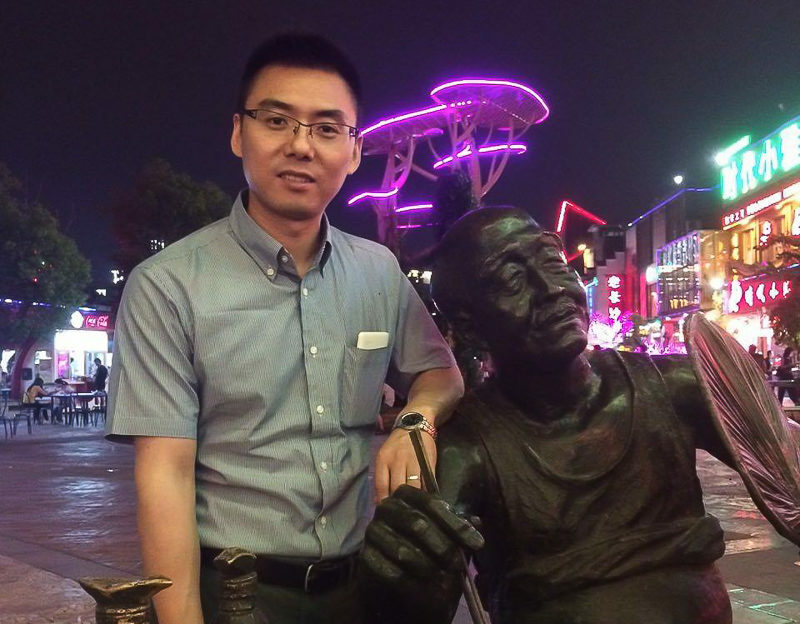 Mr. Li: As the materials used in optical glass have improved, and machining technology has been more refined, the degree of freedom in optical design has become much higher. It is certain that more and more excellent, small and practical lenses will be designed and produced. The technology of Phase Fresnel elements you have just mentioned is one of these new technologies that may make for better, smaller lenses. This is because the dispersion of Phase Fresnel lenses is opposite to the dispersion of refractive glass elements. They are also very light, which is very helpful in reducing the weight, and controlling chromatic aberrations. But they also have their disadvantages. For example, it is very easy to create stray light which lowers contrast, and lowers transmission. Phase Fresnel lenses are only applicable to telephoto lenses at this moment. The angle of a wide-angled lens is large whilst the light beam is narrow, so Phase Fresnel technology is not ideally suited to wide-angled lenses yet. PR: As far as I know in the past you have mainly designed “mainstream” zoom lenses with autofocus and image stabilization, but now you are designing rather specialized manual focus prime lenses with a huge emphasize not only on image quality but also on build quality. To me this seems to be quite a change of heart. Do you have more freedom at Laowa now to design the lenses you want to realize? Mr. Li: Yes. As I mentioned before, our team’s mission is to strive out best to broaden the scope of photographic options, and increase the pleasure of shooting. The freer the thinking, the more the innovation. Mr. Li: There are a lot of lenses that I want to design. However, our team is not mature enough yet. We need more mechanical designers and electronics development talents to join us. All this will take time, but I believe it will happen one day. One more thing, I wanted to tell you is where our brand name ‘LAOWA’ comes from. ‘LAOWA’ means old frog in Chinese. 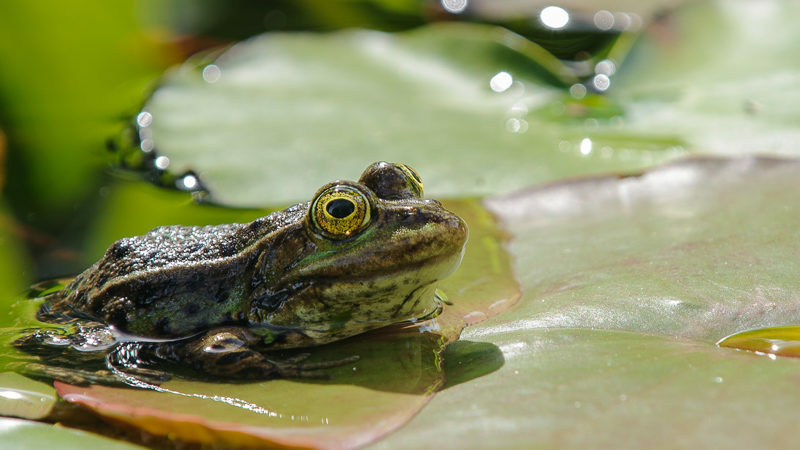 There is an idiom in Chinese which goes ‘Old frog inside the well’. It is a metaphor for people with a lack of knowledge, because they only know the world through the well, which is very small. I would say I am similar in some respects, in that I only understand the territory of optical design. However, the frog can see the sky when he looks up out of the well: and what I am looking at is the sky. My dream is of the sky. We never give up. We never compromise. I am sure more people like me will join us and when we put our dreams together, that will be the sky. This is also the reason why we use the term ‘Dreamer’ in our lens nomenclature. Mr. Li: I also use the lenses I designed. I used to love telezoom lenses but now I love macro lenses more, to capture the microscopic world. Seeing the world from a bug’s perspective is fascinating. At the same time, it helps me realise that this world does not belong only to humans. Humanity, rather, belongs to nature. Mr. Li: You are welcome. I hope we have more chances to exchange ideas in the future. Thank you very much for this highly interesting insights. Well done (both Mr. Li and Bastian)! I feel it’s a good time to mention that your blog has become a unique resource with informative and high-quality articles. Well above usual hobbyist level. In case you wanted to put more time into it, but can’t because of day work, I personally would not mind a bit of (unobtrusive) advertising or optional paid (patreon-like?) subscriptions. Just to let you know. Thank you for your response, which is greatly appreciated! Nevertheless, not accepting payments besides affiliate links is probably what is needed to keep our objectivity. There is a reason you did not see any Luminar advertising here (but probably everywhere else). I am also very happy that the blog has become a place for independent high quality user reviews. I think it is successful because it is not a for profit endeavor but about our passion. So as of know I would like to keep advertising to a few unobtrusive affiliate links but I’ll keep your opinion in my mind. Fascinating and informative. I can’t wait to see what Laowa develops in the future. Very interesting an informative as usual. Thanks ! Very interesting read and very likeable company! 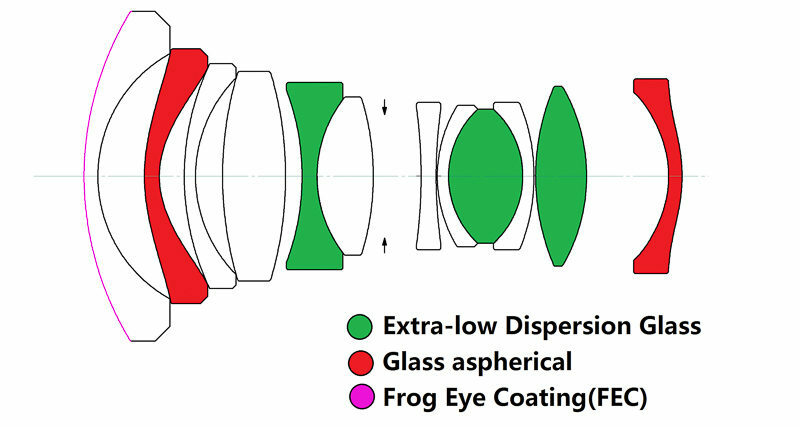 Can‘t wait to see the next designs from Laowa – would love something unique like a 1.4/35 or 1.2/50 with apodization, which has only been done for Tele lenses so far..
I’ve been thinking about this lens a lot, recently. Thanks for the interview. I will add my voice to those who have expressed appreciation for Phillip Reeve’s interview with Mr Li. Mr Reeve did an excellent job of eliciting some very revealing remarks. I would also like to echo the favourable perspective on all of the excellent work that Mr Reeve and his colleagues (including Bastian K and David Braddon-Mitchell) have done here. While this was a “friendly” review (which was no doubt motivated in part by the reviewer’s well-founded respect for excellent performance of the Laowa lenses reviewed on this website), it seems to me that Mr Li is a talented, creative and thoughtful designer. I expect we’ll be hearing a lot more about him, the products he designs and, of course, his company. BTW, what is Mr Li’s given name? I looked high and low but couldn’t seem to find it. Thanks Phillip for your interview with the designer of those amazing lenses from Laowa. I have the 105/2stf and loved it very much. Let’s looking forward to more interesting and wonderful lenses introduced from you, and Mr. Li in the future. Great interview. Laowa is an up-and-coming lens company, and it is great to have insight into its ambitions and philosophies. This is a very interesting company that is truly looking to innovate and fill product niches. I have been very happy with the 105 STF and the 12mm f2.8. The tilt shift adapter also looks to be very interesting and I will likely grab one once the Nikon mount version becomes available. I am looking forward to the future product offerings from Laowa and Zhongyi and see how far they can go from here. Too bad I still see a lot of skepticism for their high quality products due to the “made in China” stereotype. Excellent interview and it is the one of very few I enjoyed so much to read . This is awesome! I always looked at the laowa name and was like huh? Have been eyeing the 105 stf for a long time now. But now knowing the name means old frog, and understanding the context of that name, is just awesome! Seriously, before I was interested just because ths optics look great. Now I want to buy to support them too. This was a fantastic interview! I was in the market for the Laowa FE 15mm, but bit the bullet on the Voigtlander FE 15mm because the Laowa took too long from “announcement to availability”, also the size difference and lack of EXIF. Though considerably slower, the Voigtlander 15mm is a superb lens, and surprisingly on my a7rii the slow f4.5 has not been an issue for my realestate interior photography, otherwise I’d still consider the Laowa.